For professional dell laptop repair and reliable services, look no further, as Dell Laptop Service Center in Chennai offers the best service using high technology infused methods. We offer high quality Dell Laptop Chip Level Service with expert handling. Motherboard of any laptop is the most essential part and needs professionally qualified and skilled personnel to repair it. 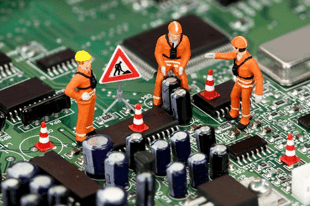 Dell Laptop Service offers high-quality services for your sensitive mother boards and chips. Experienced technicians, who work with focus and commitment, handle the sensitive and chip level repairs of your laptops. Our dedicated team of experts can handle all makes and models of laptops ranging from Dell inspiron, Dell latitude, dell vostro, dell tablet with expertise. 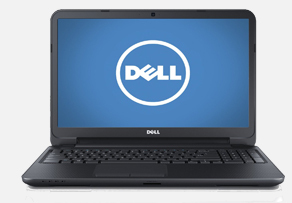 Contact Our Dell Laptop Service Center Chennai - Call 9841603330 | 9841603332. Facing problem with your dell laptop? Is your dell laptop needs services? Our laptop service center gives you total relief from this issues of yours with the perfect laptop service solution. We have been providing private homes and businesses throughout chennai with a quality service. We believe in providing a high standard of customer support. We offer fast solutions to your laptop Problems. We have specialized repair solutions for all type of laptops. Low cost laptop Service solution within fast turnaround time is our specialty. Laptop service has a knowledgeable and friendly technical support team to facilitate with the installation and troubleshooting of your laptop. Our dell service center in chennai offers many laptop problem give an instant solutions. Velachery Bye Pass Road,Chennai - 600 042. Dell Laptop Service In Chennai offer a wide range of services for Dell Laptops at best price in high quality with original dell spares support. And We provide a free pick up and delivery in chennai. Our technical team have high skilled in laptop repair and they know new techniques to solve the critical issues in laptop. We've 11+ branches in Chennai, Tamil Nadu - OMR, Adyar, KK Nagar, Tambaram, Anna Nagar, Velachery, Madipakkam, Porur, Chrompet, Thoraipakkam, West Tambaram. We also provide our service in our branches surrounding locaitons.